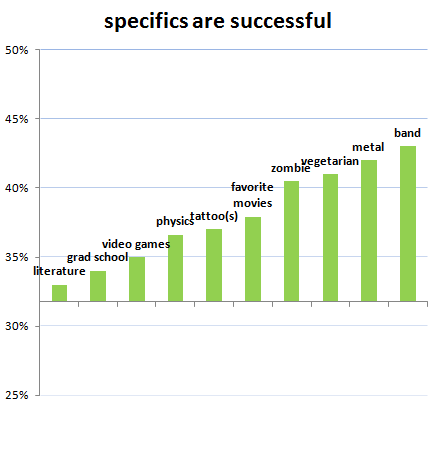 is from OKCupid's AWESOME statistical analysis blog. Are you pondering what I'm pondering, Pinky? Becoming a vegetarian zombie in a metal band? i like that being an atheist helps you. also that guys saying please is like the worst thing you could possibly put in a message.